HBO’s Sharp Objects has just received a new trailer ahead of its premiere next month. The eight-episode limited series is one of Paste’s most anticipated new shows of the year, let alone the summer, and there is a laundry list of reasons why. 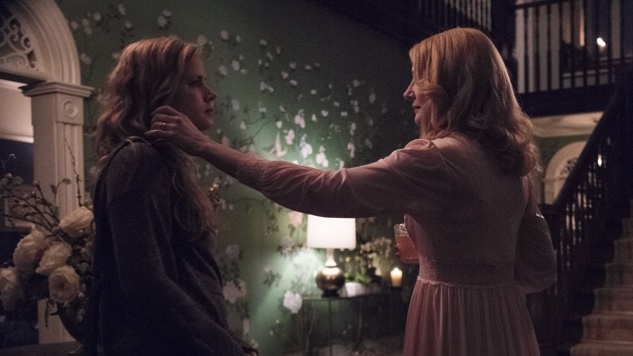 The source material comes from Gone Girl author Gillian Flynn, who also scripted several episodes, it is directed by none other than Jean-Marc Vallée of Big Little Lies fame, a clear choice for another eerie, female-led murder mystery, and its cast is led by Amy Adams, Patricia Clarkson, Chris Messina and Sophia Lillis. The limited series’ chilling new trailer follows journalist Camille Preaker (Adams) as she returns to her hometown to cover the story of two murdered young girls. Though the details are still shrouded in mystery, Preaker’s own past, family drama and several other dark elements are teased in the clip. Sharp Objects premieres on HBO July 8—watch the new trailer below and revisit a previous teaser here.